In recent years, there’s been an increasing business need for high-end, professional contingent workers who possess unique skill sets and are difficult to find in the marketplace. At the same time that this demand has increased, worker turnover has accelerated: 79 percent of business leaders think they have a significant talent retention problem. As a result, “power” has shifted away from talent buyers to these specialized, in-demand workers, creating an ongoing war for talent. To secure “knowledge workers” in this landscape, businesses need to move quickly. Faster execution can mean the difference between identifying, interviewing and securing highly sought-after candidates and losing them to the competition. 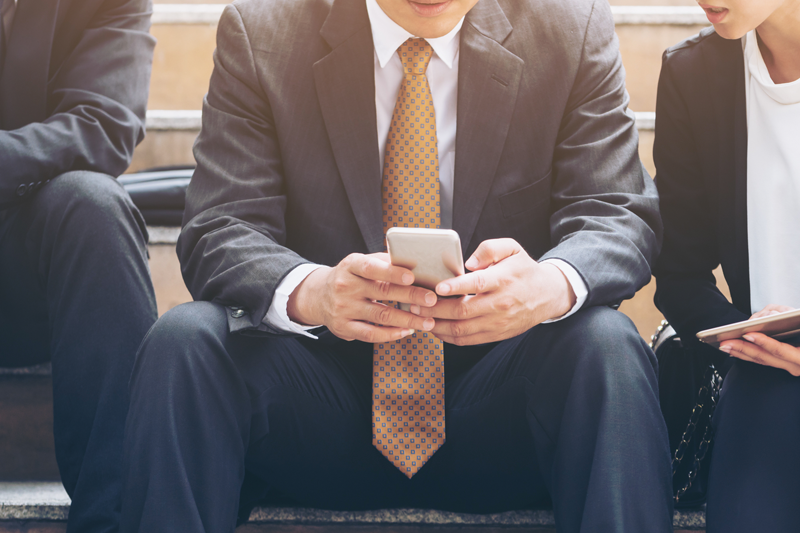 That’s why it’s important that your VMS incorporates robust mobile functionality that enables managers to easily compare candidate profiles, drill down into CVs and schedule candidate interviews from smartphones and tablets. Consider a vice president of IT who needs a hard-to-find data architect. She’s out of the office when a notification for an interview with a candidate pops up on her iPhone. Rather than waiting until she gets back in front of her desk to review the candidate’s CV on her laptop, she can schedule the interview with a few swipes and taps – all in a matter of seconds. Compare candidates: Use Wand Mobile’s “New Talent” feature to quickly review candidates in a side-by-side display. Peruse helpful, at-a-glance info such as candidate ratings, bill rates and where they’re at in the evaluation process (e.g., client review, interview requested, etc.). Similar functionality is available within the app for SOW project requests. Drill down into candidate profiles: Tap on a candidate to gain access to additional information such as their previous employment, qualifications and CV. At any time, users can request more information, initiate an interview or hire a candidate with a few quick taps. Scan CV details: Users have instant access to a candidate’s full CV and can easily scroll through the details, even on their smartphone — no pinching and zooming required. Increase collaboration: See a promising candidate who’s not quite a perfect fit for your request? With a quick tap, you can forward that person’s CV to another manager for review. It’s an easy way to help the company and decrease time to hire — the perfect marriage of people and technology. Schedule interviews: Ready to chat with a candidate, but away from your desk? No problem, scheduling an interview is as simple as clicking on a candidate profile on your mobile device, choosing the type of interview and method (1-on-1 via phone, panel in-person, etc. ), and selecting the date and time with just a couple simple swipes and taps. In addition, Wand Tablet enables the manager to carry out the full end-to-end contingent staffing lifecycle, without ever needing to touch a laptop or desktop computer – an industry first. Not only do Wand Mobile users have access to robust functionality, but they also benefit from PRO’s emphasis on design and aesthetics. When creating Wand Mobile, PRO’s Silicon Valley-based design and dev team drew on its background working on the interfaces of some of the world’s top consumer and tech products to deliver a frictionless, intuitive app experience. The world continues to rely more on mobile, with smartphone ownership more than doubling in the last six years. If you’re not currently tapping the channel to review candidates and schedule interviews, get started today!